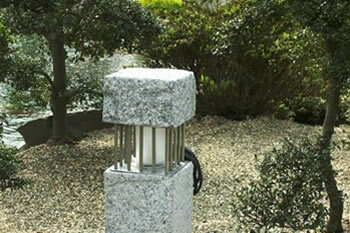 With decorative lighting, you can instantly add a new dimension to your Japanese garden. In a subtle and discreet way, decorative light sources can be integrated into the garden. At the press of a button, you can enjoy your garden longer into the evening or in the early morning. There are endless possibilities for decorative lighting. You can choose to create accents by spotlighting a certain garden plant, ornament, garden path etc. or simply provide a discreet glow.